Last month we dove into the “cons” of unschooling, basically some of the reasons why an unschooling lifestyle might not be a good fit for a family. This month, let’s assume the fit looks good and take the next step: deschooling in earnest. What are some of the challenges we may encounter? 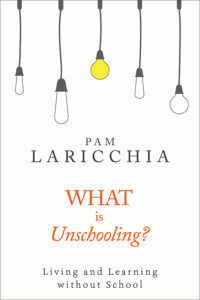 The conventional ideas we may need to question before we can fully embrace the unschooling lifestyle with our children? Over the years, one of the things I’ve seen regularly interfere with the transition to unschooling is fear. It can pop up all over the place. Often it shows up when we approach the edges of our comfort zones—that’s the point, to warn us that danger may be approaching. But by whose definition of danger? That’s the big question we’ll be asking ourselves again and again. The conventional expectation is that it’s a parent’s job to tell their children what they can and can’t do. And it can be tempting to use our fear to guide our children’s actions. Yet our children are not us. They will have their own comfort zones. And exploring and discovering where their comfort zones lie is a important piece of not only exploring their interests, but also exploring themselves and developing a solid sense of self-awareness. If we perpetuate our fears by instilling them in our children, we may well end up stifling their curiosity and exploration of the world. How? Well, imagine they have an interest that makes us uncomfortable—that we fear isn’t “worthy.” Our fear may shine through, if not our words, our attitude and actions. For example, we show our judgment when they want to share their excitement and we act too busy to join them. And we reinforce the message when we make time for an interest that we “approve of.” They’ll eventually get our message, and their fascination with the interest we fear will likely fade. Not only do they lose out on the experience and knowledge they may have gained pursuing that interest, if this happens a few times, they may come to believe that the things they find interesting aren’t considered “worthy.” They come to believe their parents are better judges of the world than they are, and they lose trust in themselves. They stop diving into things that catch their attention, they stop asking questions, and they start waiting until they are told which things to pursue. And their curiosity about the world fades. With unschooling, we try not to overpower our children with our fears because we see how it directly interferes with their exploration and learning. And that goes for their inner world as well. If they don’t have the space—or even better, the active support—to explore not only their interests, but also their own comfort zones growing up, they will need to figure this out at some point as adults. Some take this time as young adults going off to find themselves. Others hold on tighter to the expectations placed on them, though eventually it can play out as a mid-life crisis. This drive to understand ourselves is not self-indulgent, it is a human need. And I don’t want to give the impression that unschooled young adults “have it all figured out.” What they do have is a reasonably solid understanding of themselves and they are experienced with navigating these kinds of challenges. Granted, it’s not always pleasant, but they don’t usually get thrown for long, because they are experienced at finding their way to the other side. So, if we’re going to help our children explore and learn about themselves, we need to do the work to understand ourselves well enough that we don’t inadvertently make the process more difficult by imposing our fears onto their lives. When fears arise—and they will—it’s what we do with them that matters. We aren’t trying to avoid or ignore them; we want to process and learn from them. Are you prone to a deer-in-the-headlights reaction, frozen where you are, unable to think? If so, the first question is how can you move through that rush of adrenaline to gather information about the situation and begin to see some of the choices available to you? Try things out and see what helps in the moment. And remember, most situations, although they trigger fear, do not need an immediate reaction. And choices made in the throes of fear usually aren’t usually our best because we’re often suffering from tunnel vision. To look at processing our fears, let’s go back to our comfort zones. Remember the important question I mentioned earlier? Whose definition of danger we were using that triggered our fear reaction? It can definitely be challenging to tease out which are part of our personal makeup, and which are learned behaviours that we don’t actually agree with. For a moment, think about life at the edge of one of your comfort zones. Can you feel yourself tensing up? That’s fear. What is it that are you fearful of? Do you find yourself at the edge of your knowledge or skills on a given topic? Are you’re worried you will do something wrong if you step beyond? Do you see that as a weakness? Are you worried if others find out, you’ll feel shame? Or is that edge an expectation that you hold, maybe passed down to you from your own family? Or a belief you’ve researched and strongly hold on to? 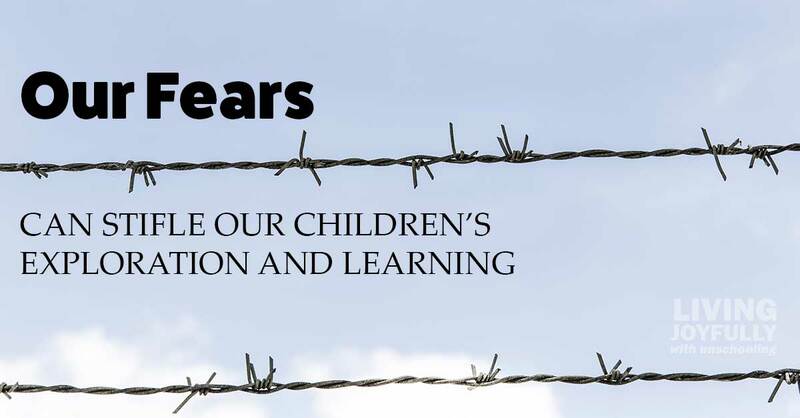 For me, deschooling was a time when I deeply questioned myself each time I began to feel fear about something I or the children were considering. 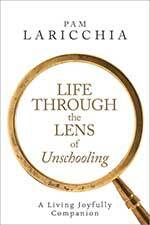 That was the crux of deschooling for me as I began considering my actions through this new lens of unschooling. 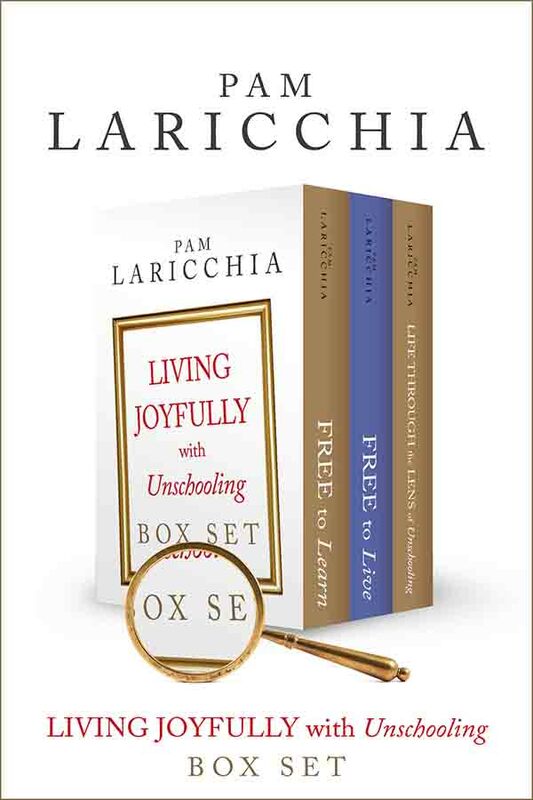 I questioned just about everything: new things we were considering; existing things we did without question because they were expected; and things we avoided because that too was expected. This is the real work of deschooling: understanding ourselves well enough that we don’t let our fears stifle our children’s exploration of their interests and comfort zones—their outer and inner worlds. 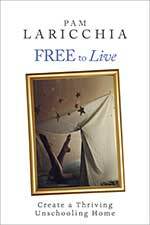 Unschooling with Strong Beliefs—Do you have strong beliefs or principles that you choose to live by? Do you expect that your children live by them too? That’s pretty easy to accomplish when they are young, but what about when they discover that other options exist? 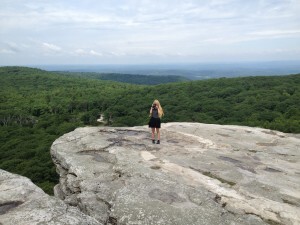 It is possible to respect your principles while still supporting your child’s drive to explore and learn and in this post I dig into some ways to do just that. The Fear of Leaving Curriculum Behind—At its most basic, unschooling is about learning without a curriculum. 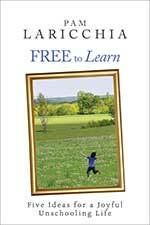 Moving to unschooling can be scary because there is comfort in curriculum—comfort that soothes our fears. And near the top of that list is a fear that our children may not learn something they need to know. What Love Looks Like in Unschooling Families—Unschoolers can really be a confusing bunch to those looking in! On one hand, we appear to be sheltering our children from the real world by keeping them home—we’re overprotective. On the other hand, we appear to not really care about our children because we don’t enforce firm rules. Conventionally, it’s almost a given that at some point parents will explain to their kids, “I say no because I love you.” Boundaries equal love. What if freedom can equal love too? 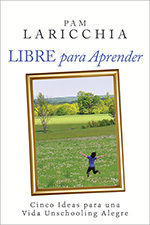 The Transition From Childhood to Adolescence—This transition is an amazing time of growth and learning as they hone their sense of self, contemplate the kind of person they want to be, nurture their dreams for the future, and wonder how they might find their niche in the adult world. Ah, Pam, this morning when I woke up at 4am and had panic about my son going out to look for his first part-time job and realized how terrified I was about all the things that could go wrong and what could happen to him, YOU popped into my mind! I’ve twice heard you speak now about examining our fears and comfort zones and it’s made such a big impact – but in a way that has really encouraged me to take out those fears and consciously deal with them. I so don’t want my issues to hold my kids back, and you’ve made me so much more aware of that. Thank-you, thank-you, thank-you!! That’s a cool story, Karen! Stretching my comfort zones in support of my children has been such a wonderful part of our relationships—I learn so much. I have been home with a sick baby, and reading your blog for a good part of the day. It’s filled with words I need–thank you! After reading this post, I thought of a question: What if the fears are coming from the child? I have my own fears, for sure, but my very bright and capable eleven-year-old daughter is terrified of unschooling. She was in public school from K through 2nd grade, and I could see how her personality changed, her spirit was being squashed. We pulled her to homeschool after that. I used an eclectic approach to homeschooling at first, which worked alright for a while. When she stated to resist, I backed off, but she seemed to hate that even more. She wanted workbooks. She wanted to be told what to do, when and how. She tells me now that she was miserable in 4th grade, which is when I backed off almost completely, trying an unschooling approach and letting her take the lead. Then she begged to attend 5th grade. Now she’s in 6th at a school she doesn’t like, with teachers who are rude and more interested in tests than content, but she doesn’t want to leave (I suspect mostly because of friends). When I mention unschooling, she gets upset. 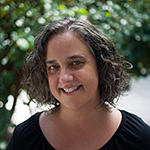 She wants curriculum, and grades, and a smiley face at the top of her papers– all of this extrinsic motivation and validation. But I want her to learn to do things for her own benefit. I don’t know how to help calm her fears, and help her understand all that she is capable of. And what a great question! I’d like to touch on a couple of aspects I think might help. One thing that came to mind as I was reading your comment was that backing off homeschooling isn’t the same as unschooling. I think I understand what you meant—that you stopped insisting she do more formal learning activities—but that’s only a piece of unschooling. We also replace that “backing off” with strong support in other ways. Figuring out ways to do that is a big part of the deschooling process. Another is, you also mention that your daughter is caught up in the swirl and messages of school. I understand why that’s bothering you, yet it could be very detrimental to your relationship if you push her to leave. Maybe you came across this post when you were reading, but if not, it might help: When You and Your Child See Things Differently. It gives some ideas about ways to approach this seeming impasse. 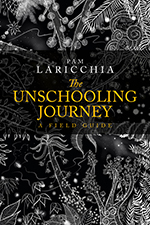 In this situation, I think it might help for you to dive into deschooling yourself and get a solid handle on unschooling. 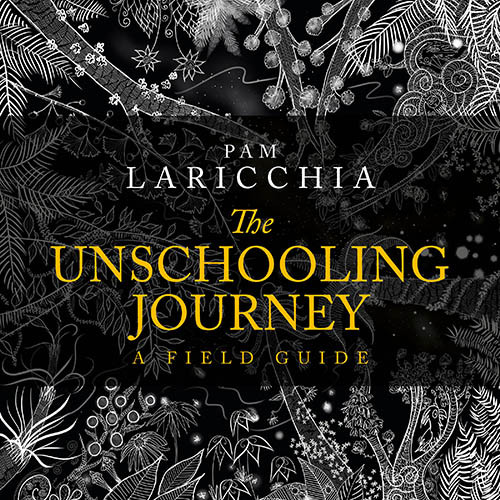 If you haven’t yet signed up for my Exploring Unschooling email series, that might be a good start. As your understanding of unschooling grows, you can cultivate that supportive and engaged environment in your home, even if she’s still going to school. It can be tempting to make school out to be the “bad guy” to convince her to leave, but that puts you at odds with each other. I think she will come to better understand the unschooling lifestyle by experiencing one of the basic aspects of it: your unwavering support as she pursues the things she’s interested in. You can actively support her choice to go to school without compromising your ideas. You can let her know that going to school is her *choice*, that she can choose to leave if she wants. And you don’t need to buy into the system, meaning you needn’t insist that she do her homework or study for tests, and you needn’t put any value on grades as a measure of her as a person. If she wants help with projects or studying, help her out—you’re helping her experience the school environment the way she wants to. But don’t give it any more power by insisting she do more there than she’s interested in. And alongside that, you can actively support her as she explores her interests outside of school. This gives her the opportunity to experience learning things in other ways. Maybe point out things she’s learned outside of the classroom once in a while, so she notices the bigger picture. I’m dealing with the fear of my son playing high school level American football. I don’t agree with it because of the problems retired football players are having with brain function. My husband played, the pediatrician doesn’t see as a problem, but I’m still focusing on the negatives. Yes, I tried to get the pediatrician on my side to no avail. Part of me feels he can’t possibly see far into the future and determine football is dangerous right now. But, while reading the post, I realized neither can I look into the future and determine there will be some horrible repercussions. It feels weird to actually give him control over a choice that right now seems so big. I know what you mean, Michelle. One of my sons is getting into stunt work, and sometimes I remind myself that he is better at evaluating risks because he knows his skills, how he’s feeling in the moment etc better than I do. With that wedge in the relationship, they’ll be less likely to share any concerns with us, or even to quit the activity if they change their mind, because to do so can feel like admitting they were “wrong.” It’s much better to keep the lines of communication open and flowing so we can not only better understand their enjoyment of the activity, but also help them with any concerns as they arise. Just to add, I do want to encourage him to investigate the dangers for himself, so he can make an informed, non fear based decision. Hey Michelle, one thought here. Maybe in thinking of this in terms of “giving him control over a big choice,” you’re losing sight of being his partner. Rather than expecting him to investigate the risks to make an informed choice, help him gather the information he needs.